I love getting to know my clients, so I take on a limited number of clients per month. 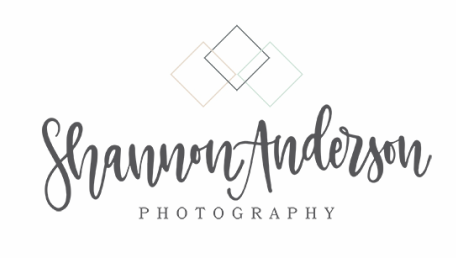 This allows me to be available to provide as much (or as little) assistance as you wish from the moment we first talk, until your images/products are delivered and sometimes beyond! We will text, email, meet or talk on the phone for a pre-session consultation and go over the session options and discuss your vision for the session (style, goals for the session, products, etc) and get to know each other and make sure we mesh well! Once you decide to book, you will complete a contract and make a retainer payment to reserve your session. This guarantees your session and ensures availability. For newborn sessions, we will set your actual session date once baby is born, typically within 14 days of birth which takes place in my Mooresville studio. Depending on your package, no other payment is due until after you see your images. Special sessions and mini sessions may require payment in full prior to the session beginning. Before your session, you will have access to my clothing and session prep guides as well as personal assistance from me to pick the perfect clothing/accessories or colors/props for your session (maternity, newborn and baby will have access to my studio collection of dresses, newborn props and baby outfits.) so we can customize your session based on your preferences! Session day arrives and you can kick back and relax and just have fun, or even take a nap in my studio if you are a tired new mom! After the session, you'll receive a proofing gallery within a week, often times within 1-3 business days. This is a large gallery of untouched images from which you will choose your desired images. Once you select your favorite images, these will be fully edited/re-touched and perfected for you! Digital images are typically available within 1-2 weeks once your final selection is made, often sooner. Once you view your final gallery/edited images, you will have access to download the images immediately. In addition, there is an option to order prints from the online shopping cart. I also offer a wall design process to you! If you are interested in wall art, I have an amazing program that puts the image directly to the wall in your home that you/I take a picture of so you can visualize it before you make a decision and don't regret getting something too small or too big once it arrives! Any products selected will be ordered and delivered to you upon arrival. Most products arrive within 1-3 weeks and will be delivered right to you. If you would like to know more about booking a session, please contact me as early as you can (ideally 2-3 months prior to your ideal session date) as my schedule fills quickly.